An Uber driver secretly filmed seven Ottawa Senators players recently as they ridiculed one of their assistant coaches and the team’s penalty kill. An Uber driver secretly filmed seven NHL teammates recently as they ridiculed one of their assistant coaches and the team's penalty kill. It was the Ottawa Senators he filmed in his van, but it could have been the Flyers, the Blackhawks, the Hurricanes, or any NHL team and it still would have been flat-out wrong to post the video online. The video went viral — hooray for the "gotcha" driver who was reportedly upset with the tip (or the lack of one) he received — and the seven Senators issued a statement Monday, apologizing to their teammates, assistant Marty Raymond, and the rest of the coaching staff. The players were sitting in an Uber-driven van in Arizona, talking off the cuff and joking about the team's shortcomings. The five-minute video made it onto Twitter and YouTube. 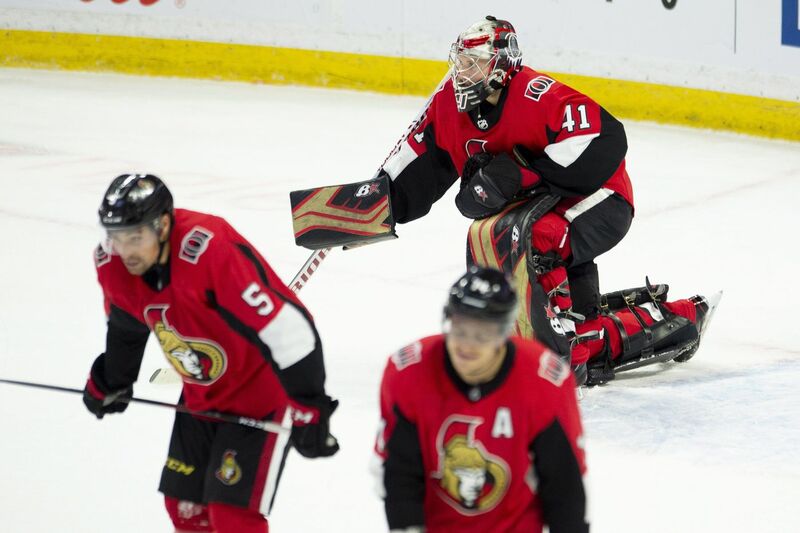 At one point, a veteran Ottawa player mocked the man who coaches the Sens' penalty kill but used to direct their power play. "Marty Raymond, the only coach in NHL history to have the worst power-play and the worst PK within a calendar year," the player said. Laughter filled the van. Several other players joined in the mockfest. The words and the laughter went viral. Welcome to the social-media world we live in. Flyers defenseman Radko Gudas played for Tampa Bay when Raymond was an assistant there. He watched the video and felt sympathy for the man. "I thought of him pretty highly. I never had a problem with him," Gudas said. "He was with me in the minors as well, so I've known him. I'm not sure what inspired the whole conversation, but I can't believe the [driver] put it out there. I feel really bad for Marty because he's just trying his hardest to do what's best for his team." Pro athletes are under a microscope more than ever because of social media and their immediacy. The athletes understand and accept that. What they can't and shouldn't accept is an invasion of privacy like the one that occurred in the incident with the Ottawa players. "It's pretty gutless of the driver," Gudas said. "I don't know what was behind him sharing [the video] … Obviously, what they said is inexcusable; it would be unacceptable in our locker room. But invading their privacy is a whole different story." The Uber driver reportedly released the video, which he tweeted to reporters, because of either the size of the tip or the lack of one. He called the players "cheap entitled kids," according to Elliotte Friedman of Sportsnet. "I didn't know you had to tip your Uber drivers," Gudas said. "I'm going to have to rethink my Uber tips now, too." Flyers center Sean Couturier said it's "sad what this world has come to. Someone's trying to make money off a video." Couturier didn't condone the players' badmouthing one of their coaches, but he said their words should not have been made public. "Everyone's had a rough day with their boss at any job, in any career path," he said. "It's not like the first time it's happened, but it may be the first time something like that has come out in public that way." Players are getting more afraid to be candid about their feelings, Couturier said. "Guys are not expressing their opinions as much as they used to, and not being as honest and open," said Couturier, who is one of the Flyers' most upfront players after a game, someone who doesn't speak in politically correct tones. "You see these type of things and guys are scared to come out and say what they actually think." And when they do, they are exposed in a secret video. "It's tough to watch," Couturier said, adding he will be more careful in what he says in a taxi or Uber. "No one deserves that stuff coming out. The coaches, they've played the game. They didn't always have the same opinion as their coach when they played. They know some people aren't going to agree. But to have it come out like that. … Why would someone do that?" "It was unfortunate for those guys to get stuck in a situation like that," right winger Travis Konecny said of the Ottawa players. "It's was something private that was going on." The Uber driver was fired, but not before he unfairly tarnished the image of seven players and a coach.